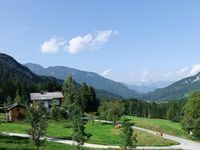 Properties in Aussichtsberg Ski Lift average 4.6 out of 5 stars. Property 4: Exclusive, new, very spacious house, in a prime location on the slopes! Book NOW! 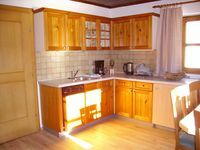 Property 27: A superb detached and spacious holiday home with sauna in the house! Large villa right on the slopes with private sauna and relaxation area. Property 36: Large villa right on the slopes with private sauna and relaxation area. Stylishly renovated country house with garden, right in the ski, golf and hiking. Property 49: Stylishly renovated country house with garden, right in the ski, golf and hiking. Out in the country with easy access to every where we wanted to go. Nice to come home at the end of the day to peace and quite. The apartment was very nice. The hotel where the apartment is located had unfriendly staff, especially for the restaurant. Otherwise a perfect place for us to stay while exploring and hiking.